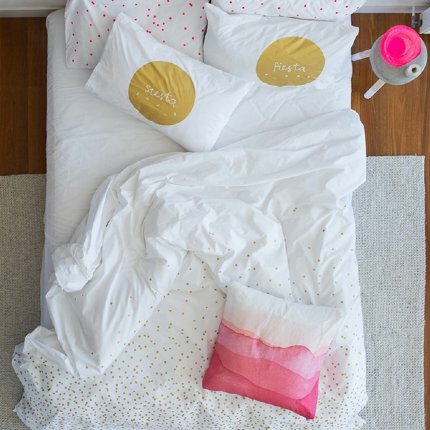 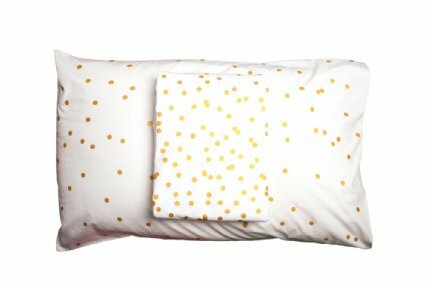 Gold polka dots, on soft organic white cotton, sprinkle sprinkle doona in gold is great for kids and adults! 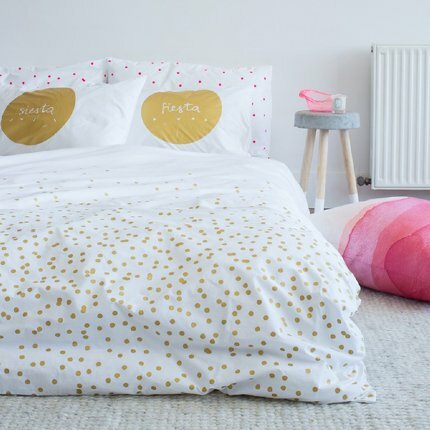 Lilly & Lolly suggest the Bambi Cotton woollen light loft quilt as an all year round quilt. 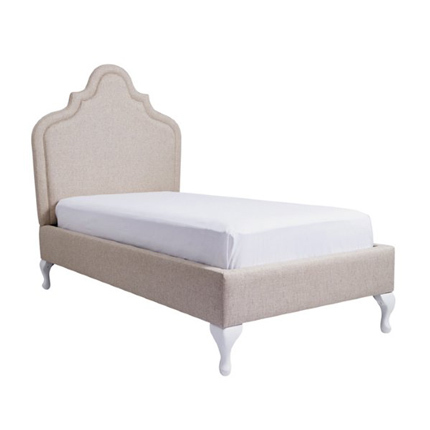 The natural crimp of pure wool holds together of an all-over even spread of warmth on the bed, eliminating cold or hot spots. 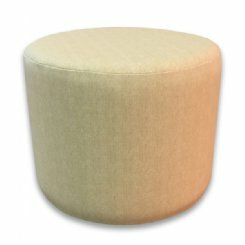 It is asthma & allergy friendly, has a silky soft bamboo cover with 100% pure new wool fill.